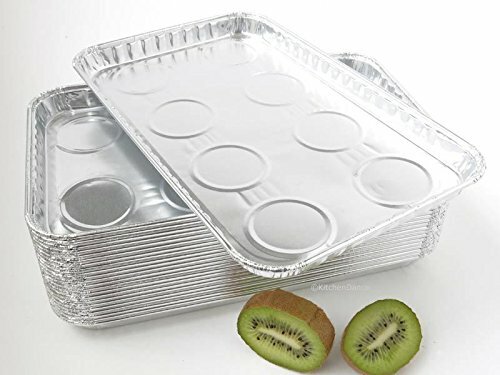 Great little disposable aluminum foil pan fits most toaster ovens and conventional ovens. Pan can be used for baking and broiling. Also called a 'Targeted Danish Tray'. Made in USA, quality is good. Top outside dimensions (rim to rim): 10-1/2" x 6-1/2" Depth: 3/4" Made in America of 40 gauge aluminum foil. Disposable Aluminum- Avoid big Cleanups!